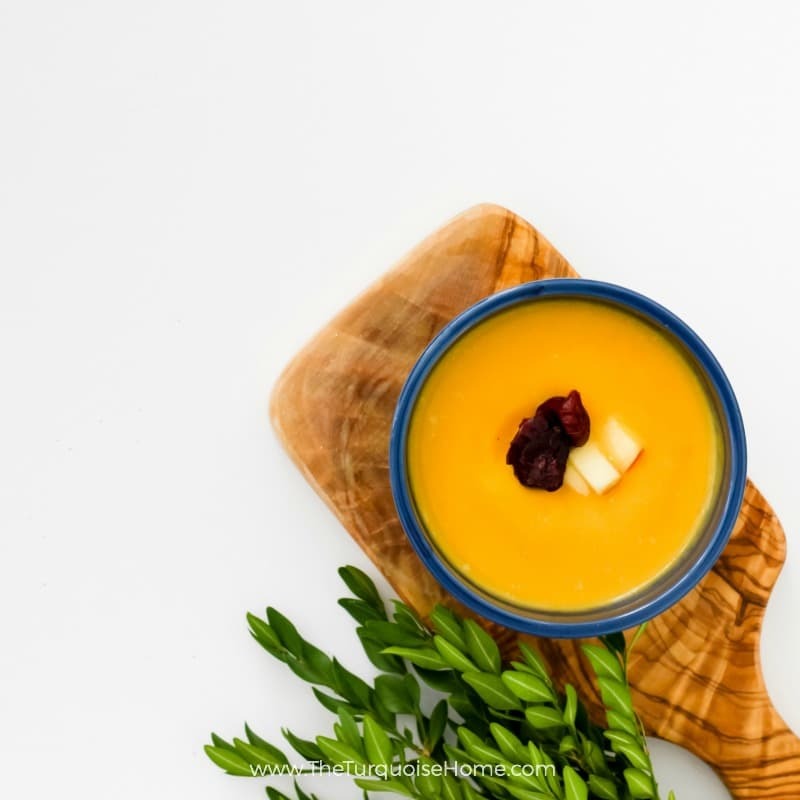 This easy butternut squash soup recipe combines savory, caramelized sautéd squash and cream and sugar for a perfect sweet and savory mix! Grab a large to medium butternut squash and peel it and cube it into bite-sized cubes. Sauté the onions and garlic with the oil in a large pot on medium heat until tender. Add the cubed squash and sauté until tender. This melds the savory flavors together so nicely! Once tender, add cream, stock, salt, pepper, spices and brown sugar. Bring to a boil and cook on medium-high until the squash is fork-tender. This takes about 25 minutes and you'll want to stir it regularly. Remove the soup from the heat source and either use an immersion blender to blend until smooth, or ladle into a blender and puree. Ladle soup into bowls and garnish with diced apple and dried cranberries. Delish!